Major life changes, such as marriage or a divorce, require re-evaluating your life insurance. 1. Why Use First-To-Die Life Insurance? 2. Is Mortgage Insurance Better Than Life Insurance to Pay Off a Mortgage Upon Death? People purchase life insurance to protect loved ones from the financial impact of the most serious life change – death. But to make sure your loved ones have adequate life insurance protection, it is important to review coverage after most major life changes, particularly those that change your family size or severely affect your finances. Getting married is a major life-changing event. The financial responsibility for a spouse is part of the commitment you make. You should both have life insurance to protect each other. Yes, it seems kind of creepy as you start your life together to worry about it ending, but the younger you are when you purchase insurance, the lower the premiums. If you already have policies, you need to update the beneficiary information. 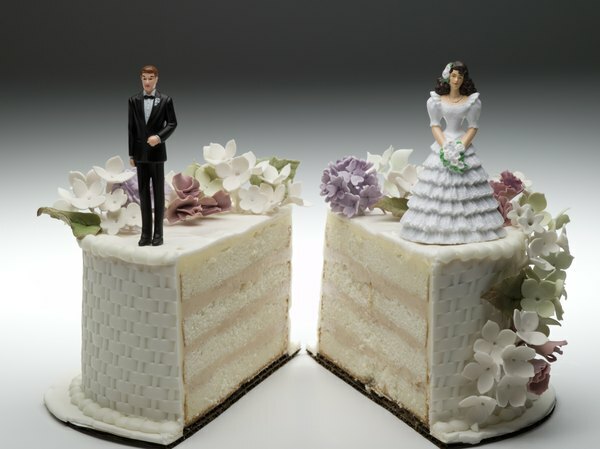 Divorce is also a time to reconsider your life insurance needs. Will you be protected if your ex-spouse dies and he (or she) is the major provider for you and the children? Insurance premiums to cover the support settlement should be negotiated to cover the support settlement. Also, you need to divvy up any cash value in your insurance. Lastly, if you keep your policy in force after a divorce, you'll probably want to remove your ex-spouse as a beneficiary. The birth or adoption of a child is a critical time to evaluate if you have enough life insurance. Adding a child means your household expenses will increase, so you need to consider if you have enough life insurance to provide for the child’s care and education in the event of something happening to one or both parents. Buying a home not only means homeowners’ insurance, it also may require you to purchase more life insurance to help your spouse or significant other pay the mortgage if something happens to you. Most formulas for calculating life insurance use mortgage and other debt to determine how much you need. As your career progresses and your income increases, your life insurance should increase accordingly. Your policy should be adequate to help your family meet its financial needs for several years if you pass away. Many employers offer group term insurance to employees, but it is a good idea to purchase your own policy outside of work when you are young. Plans purchased in your 20s or 30s will have the same low rate throughout your life. If you wait to buy individual insurance when you are older, you may have developed a health problem that makes insurance very costly or impossible to get. Relying on a policy from work can be problematic if you are laid off or quit in later years. The group policy may be convertible into an individual policy, but the rate charged to do so could be steep. It used to be that people didn’t think they needed life insurance once they retired. However, that probably isn’t the case. Maintaining life insurance is important for three reasons: long-term care provisions, protecting your spouse financially and for estate planning. Newer life policies have riders that cover nursing home or custodial care, which can be very expensive to fund yourself. Your spouse might need to be protected from the loss of your income, because if you die, pension payments might stop or decrease, and Social Security income will definitely decrease. Life insurance can make up the shortfall. Some retirees also use life insurance to help their heirs pay estate taxes on other inherited assets. U.S. News & World Report: Money: Do You Need Life Insurance in Retirement? TheHuffingtonPost.com: Divorce Questions: How Can Divorce Affect My Life Insurance Policy? Dyanne Weiss has more than 20 years experience in human resources and corporate communications. Her communications strategies' have aided employee engagement and understanding of health care benefits, retirement planning, performance planning and compensation. Weiss has also worked in several industries: energy, insurance, banking, financial planning and health care. She has an MBA in management and organizational behavior. Will My Son Be Covered Under My Husband's Health Insurance After I Get Married? Can Grandparents Take Out Life Insurance on a Grandchild? Is it Worth Getting Mortgage, Life and Disability Insurance? Who Needs a 10-Year Term Life Insurance Policy?